Agave inulin, soluble fiber Benefits? Agave inulin healthy foods? Definition of dietary fiber: The sum of plant polysaccharides are not hydrolyzed by the secretions of the human digestive system. Agave inulin, is a fiber that comes from the Agave plant and conforms to the definition, which functions as a dietary fiber - more precisely is a soluble dietary fiber. Due to the fact that fibralit is not digested in the stomach or absorbed in the small intestine passes intact to the large intestine where it is fermented by the microflora. Fibralit regular diet provides health benefits and general welfare, which have been documented by reports of scientific studies. We can say that dietary fiber is the food for probiotics.Or the same that inulin has nutrients for the probiotics, than means that the intake of inulin is good for the colon. Among the physiological functions agave inulin modulating the gastrointestinal functions of the colon are of paramount importance. Among others, one of the more promising is the modulation of the activity of the colon, which more and more recognized that plays an essential role in maintaining health and wellness and reducing disease risks. Absorption of minerals and vitamins. Production and absorption of fermentation products such as short-chain fatty acids and lactate. Body protection of the translocation of bacteria. Body protection against the proliferation of pathogens in situ. The endocrine functions (via the gastrointestinal peptides). The growth regulation of intestinal epithelial cells. 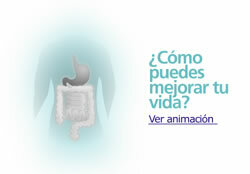 The concept of "healthy colon" has emerged and has become a favorite target for the development of functional foods. In addition to its physiological functions of the colon is involved in a variety of diseases such as acute infections, diarrhea, constipation or chronic diseases such as colitis, irritable bowel syndrome and cancer. By modulating the functions of the colon, fructans have the potential to reduce the risk of some diseases. It helps with the constipation problem because it increases the weight and moisture of the feces. Apart from the colonic mucosa increases accelerating the passage of stool. Increased acidity of the stool. Alters metabolism of bile acids. Reducing cholesterol and triglycerides in the blood that helps prevent cardiovascular diseases. Reducing cholesterol and triglycerides in the liver. Reduction of low density lipoprotein. normalizes blood glucose and lipids. Improves the assimilation of calcium, magnesium, iron and phosphorus. You can consider in your group of healthy foods. Increased acidity via the production of lactate, acetate, propionate and butyrate. Colon acidification inhibits the growth of bad bacteria such as Salmonella, Shingela, Listeria etc. Reduce the concentration of ammonia in the blood the presence of acid. Inhibits the enzymes that generate toxic substances from bile acids. Produces factors that stimulate the immune system. Produce B vitamins, folic acid and vitamin K.
Restores the intestinal flora in people treated with antibiotics. Keep in mi mind agave inulin as one of your healthy foods, dont miss´to eat a healthy diet and complement it.